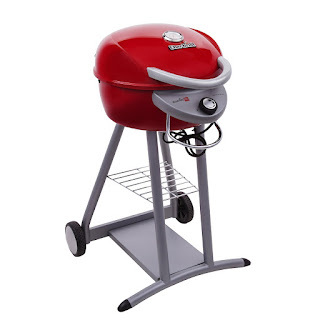 It features a 240-square-inch cooking surface with porcelain-coated cooking grates, 80-square-inch raised cooking surface, temperature gauge, 1,750-watt electric burner, and plugs into any 120-volt outlet. RUN over and checkout 6pm.com with Outdoor & Comfy Clothing Up to 85% Off - NorthFace, adidas, Under Armour, Columbia & More! For example this adidas Outdoor Luminaire Jacket is MARKED DOWN to $37.99 (Retail $125). Today only, Home Depot takes up to 32% off Lutron dimmer and control switches. Plus, all orders qualify for free shipping. 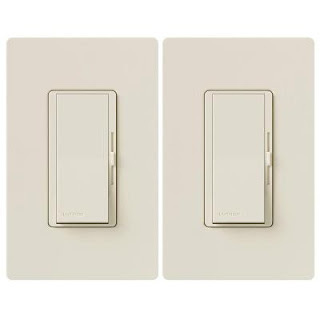 Lot's to choose from including the Lutron Diva 150W LED Dimmer w/ Wall Plate 2-Pack in White or Almond for $39.94, which is a savings of $19! Head over and check out Muk Luks Up to 60% Off! 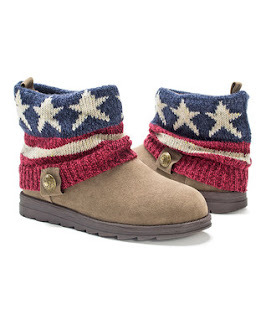 There are tons to choose from but I'm loving these Americana Patti Boots for JUST $39.99 (Retail $76). 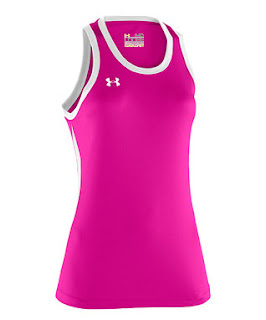 Under Armour For The Whole Family "Priced To Move"
Right now you can save with Under Armour for the Whole Family! One of my favorite things I just snagged is this Women's Sleeveless Tee for JUST $21.99. Head over and browse around for yourself and kids! 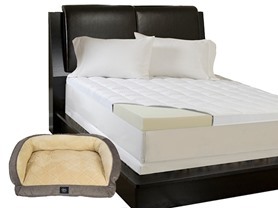 Today ONLY - get a Simmons Foam Topper for your bed or pet starting at $49.99! Instantly upgrade an old mattress. Memory foam reduces pressure points for a more restful sleep. 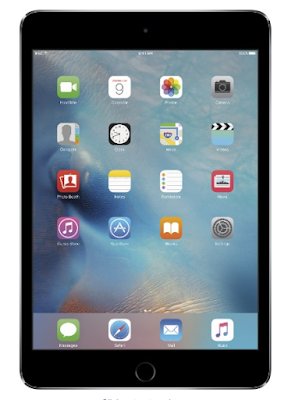 Today only, Best Buy offers the Apple iPad mini 4 16GB WiFi Tablet for $299.99. 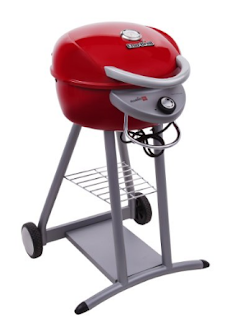 Pay using Visa Checkout to drop the price to $289.99, plus get free shipping. That's an all time low! Note: The Visa Checkout offer can only be used once per account. 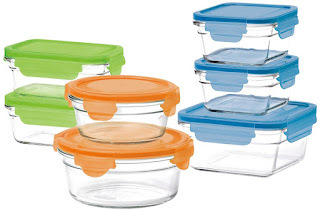 Today only get this Glasslock Oven Safe 14 Piece Set for only $18,99 (Retail $25.79)! Shipping is Free on orders of $49+ or with Amazon Prime! Ends tonight! 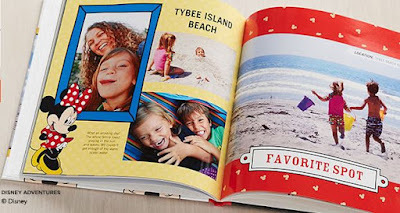 Save 40% off your entire Shutterfly order with code STAFFPICKS40 at checkout. This includes photo books, photo gifts, canvas prints, cards, home decor and more. And shipping is FREE on orders $39 or more with code SHIP39 at checkout. Valid through 8/21. Sign up for the Shermans Travel newsletter and receive exclusive Travel Deals. Shermans Travel is a leading publisher of top travel deals and vacation destination advice. Their editors screen hundreds of travel deals each week and publish the best ones in their weekly newsletter! It's kind of like a garage sale right now on Groupon! 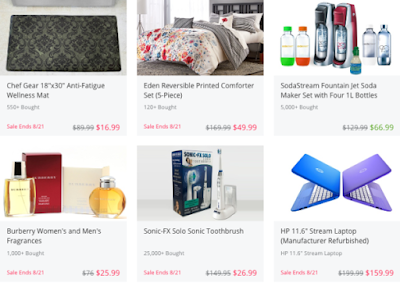 You can get up to 80% off a selection of electronics, clothing, home items, and more as part of its Major Markdowns Sale. I looked around and found some good deals, like Burberry Fragrance for just $26! Shipping adds $3.99, but orders of $34.99 or more bag free shipping. For a limited time, whenever you purchase one entree, you can take one home for FREE – NO coupon needed (click here if ordering online)! 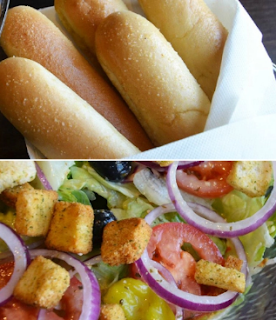 AND through August 21st, head on over to OliveGarden.com where they are offering 20% off your entire online To-Go Order when you use the promo code OGSAVE20 at checkout! COMBINE BOTH OF THESE OFFERS FOR A GREAT DEAL! After yesterday I sure Fall is almost here! 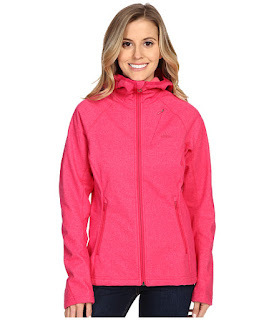 Get ready with this cute utility jacket for $26.99, down from $49 – a great price. 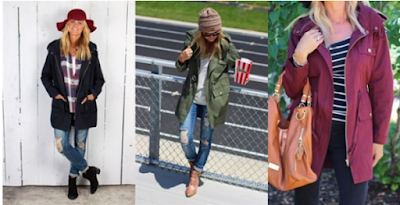 This jacket comes in sizes up to 3X and in six colors. It has several pockets for holding all your little items that you carry with you. Today only at Fanatics.com save up to 65% off select items and get FREE Shipping on orders over $40 with code 40SHIP. 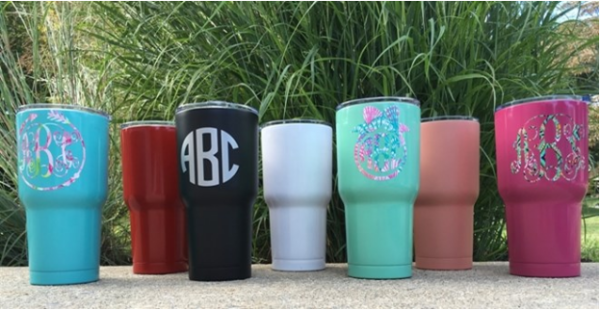 Perfect deal to help you get ready for football season!